Here is the other known photo to show any part of the KLR between The Fish and Wollaston. We are outside The Britannia in High Street where a brougham is parked. Behind the horse is one of the KLR’s traction poles showing – beneath the horse – the Magnet & Wheel symbol of the tramway’s owners – The British Electric Traction Co and above a figure ‘2’. The latter was the number of the fare stage from The Fish. 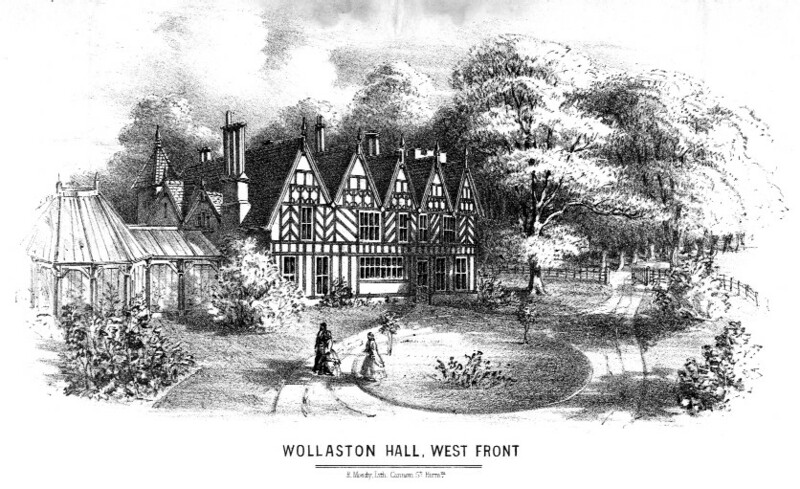 Attending the party, which look like domestic servants – possibly from Wollaston Hall – is a one-legged man who used to run a haulage business from behind the pub.